It is not often that a ‘celebrity’ bares all in such a poignant way. David Baddiel and his family did just that with not a hint of glitz and glamour but with outright honesty on Channel 4 earlier this week. In ‘The Trouble with Dad’ the comedian gave the viewer an insight into his father Colin’s Pick’s Disease by allowing a film crew into the family home. ‘Pick’s Disease’ is a rare form of dementia, estimated to affect around 16,000 people in the UK. People with the disease typically experience progressive personality and behaviour changes, then increasing difficulty with speech and language. The programme saw Colin go through all these stages. 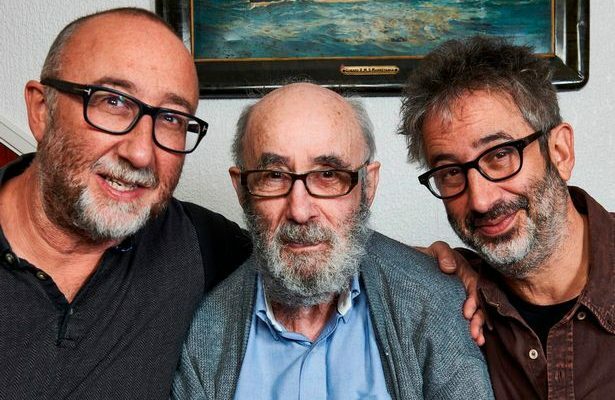 There were genuine perspectives from Baddiel’s two brothers, one of which lived abroad. We also met other families who deal with Pick’s Disease on a daily basis and have to manage going out to work everyday as well. It may have made for uncomfortable viewing in parts but nevertheless it was real. They may not have been Colin’s full-time carers but it gave a rare glimpse into the life issues that people have to deal with all the time. In a report out today by Imperial College London and the World Health Organization between 2015 and 2030, life expectancy in the UK is expected to go from 79 to 82 for men and from 83 to 85 for women. The researchers said the findings posed big challenges for pensions and care for elderly people. This is turn has its implications for employers. Dialogue and support needs to be open between managers and staff. Note for diaries – Carers Week 12-18th June 2017.